Home » Altcoins » What Is MaidSafeCoin Coin (MAID)? What Is MaidSafeCoin Coin (MAID)? Safecoin (MaidSafeCoin Coin) is a digital token. It can be considered as the oil in the engine of the SAFE network, a built-in procedure to ensure that all users of the network are compensated for the value they provide. The SAFE (Secure Access For Everyone) Network is a new secure and decentralized data management service that is built by sharing the unused computer resources of the individual network participants. 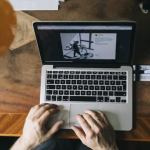 Each user of the SAFE Network provides a part of their computer resources: data storage space, processing power, and Internet connectivity thus forming a large decentralized network. The service that pays the user! Safecoins (MaidSafeCoin coin) are completely distributed by the algorithms in the SAFE network. People are not involved in the process. Only 4.3 billion coins will ever be in circulation and everyone will have a unique stamp. Safecoins are recycled when users trade them for network services to ensure that users can constantly take advantage of offers. Safecoins are given as an incentive for users to allocate their resources to the network. These resources consist of storage space, CPU, bandwidth, and online time that allow you to store encrypted chunks of network data and retrieve them from a computer. The process of providing resources and receiving safecoins in return is called “farming”. Each piece of encrypted network data is stored in a Farmer’s “Vault”, a data storage and management location on the Farmer’s computer that users cannot read or access. The SAFE network is designed to manage these resources itself. When network data is retrieved from a computer, the network pays the user Safecoins. This payment does not take place every time data is retrieved. Instead, rewards are paid out by lottery procedures, as in a lottery. A Safecoin is automatically transferred from the network to the user’s Safecoin eWallet address, which is cryptographically bound to the Vault. The amount of Safecoins a user can earn depends on how many resources are made available to the network and how often the computer is online on the network. The resources provided by each farmer are constantly monitored by the network to ensure that they are still available. The network checks the status by storing any packet of data on the computer. If the network finds that the resource committed to the network is no longer available, it reduces the computer’s rank, reducing the yield potential of the specific vaults. Safecoins can be used to access and use network applications, with part of the payment going directly to the application developer. Safecoins can also be purchased by users who are unwilling or unable to deliver resources to the network. This creates a market of buyers and sellers so that farmers can sell the coins they exchange for another currency. These transactions will take place on a stock exchange, another SAFE network application or directly between individuals. In a nutshell, the SAFE network is secure access to apps. Data protection is a top priority in the company. Downloading the free SAFE software gives you access to: messaging, apps, email, social networking, data storage, video conferencing and more. Instead of working with data centers and servers that are common today and are vulnerable to data theft and monitoring, SAFE’s network uses advanced P2P technology to bring together the spare computing capacity of all SAFE users and create a global network. You can think of SAFE as a crowd-sourced internet. All data and applications reside in this network. By providing SAFE with unused computing resources, users are paid for using a network token called Safecoin. To earn it, users download the free SAFE software. Users can easily create an account and tell the network how many resources are available. When the network data is stored and retrieved from the computer (Vault), the virtual wallet automatically starts working to obtain safecoins. Users can use them to pay for other services on the net or exchange them for another currency via a SAFE exchange office. You can’t buy it directly for fiat on any exchange. You can choose the best bitcoin exchange for your region and buy BTC there, then trade it for MAID. Learn here how you can instantly convert altcoins to bitcoin and vice versa. Our recommendation is always check if Coinbase is available for your country and buy there – as it is by far the safest and best regulated bitcoin exchange. Yes, Coinbase is safe and trustworthy exchange. 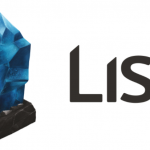 What Is Lisk Coin (LSK)?